3 is the magic number! 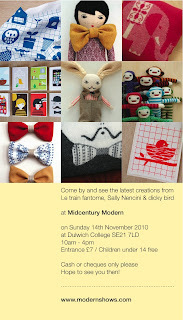 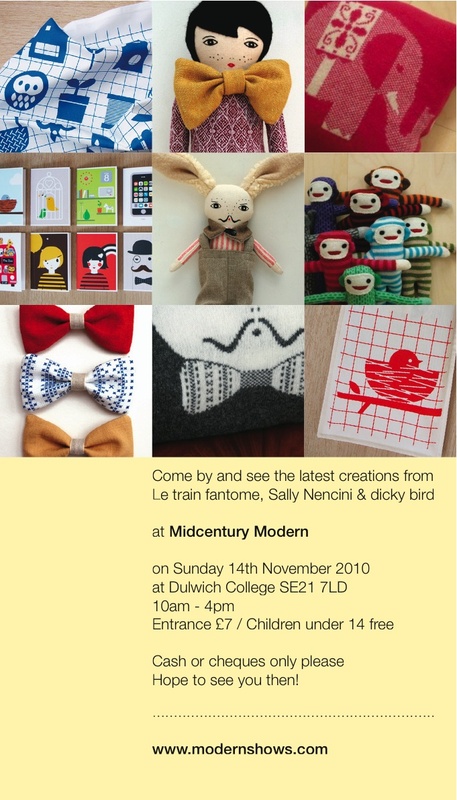 I am teaming up with 2 very talented girls, le train fantome and dicky bird, to take part in 'Mid Century Modern' in Dulwich College on 14th November. Look out for my collaboration with le train fantome! 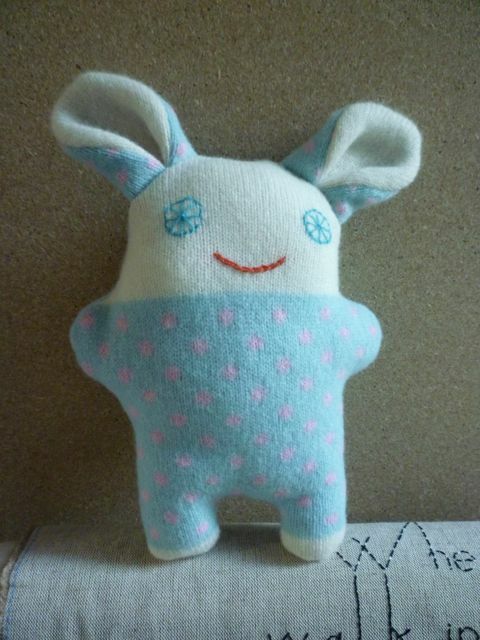 Here are some new monkey and bunny prototypes! 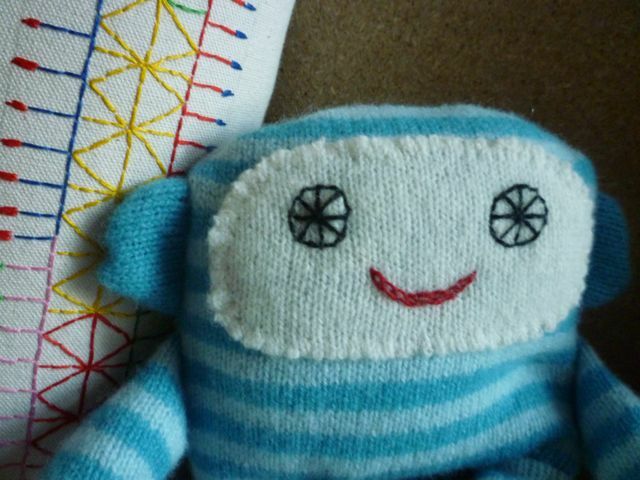 I have sent some toys to take part in an exhibition called 'eye candy' at 'Forge2' This is a very successful gallery & Shop that only sells design craft produced in the UK. They have a mix of artists both established and up and coming. beautiful discovery ! 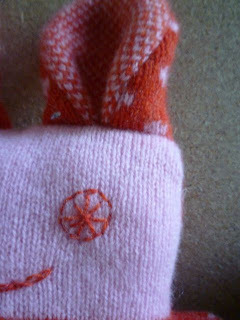 Wonderful work with wool and embroidery, everything I love! 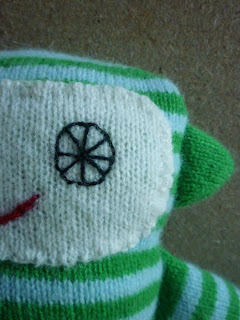 C'est magnifique, bravo!